Super fun on our Chinese New Year day!! 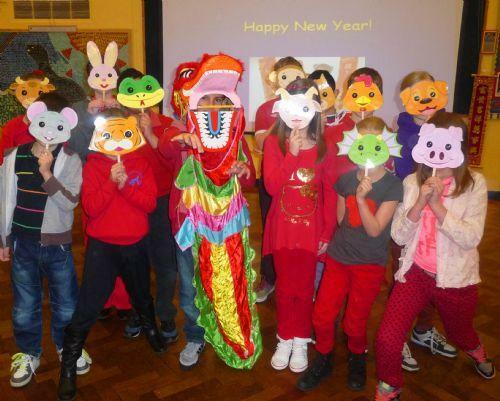 Today the children of Peterbrook enjoyed several exciting events to celebrate Chinese New Year. The school was awash with colour as all pupils were invited to wear red clothing due to the Chinese belief that red symbolises happiness and good fortune. With the tone set for a day of Chinese New Year celebrations, there were Key Stage One and Two special assemblies, our ‘fortune cookie giveaway’ and an Upper Key Stage Two afternoon of stir-fry cooking. 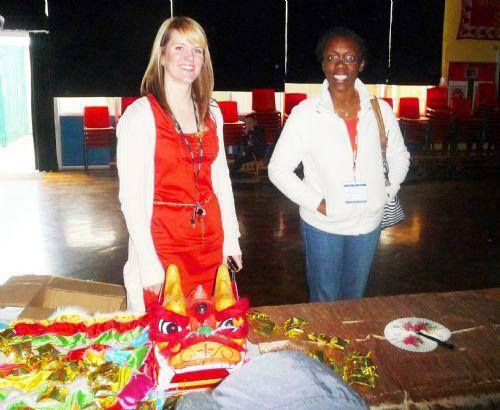 If that wasn’t enough, many classes used the opportunity to indulge in Chinese New Year activities – what an exciting day! 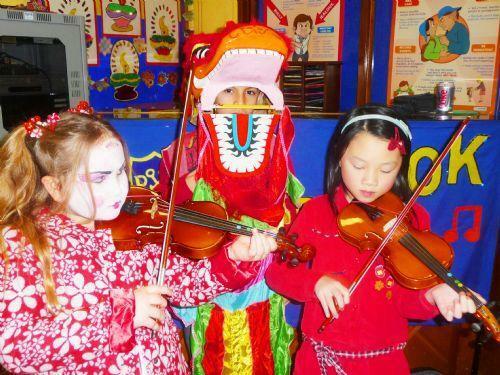 The children thoroughly enjoyed their assemblies where they learnt about Chinese culture and traditions, including the fact that the spring festival celebrations last for fifteen days in China – wow! 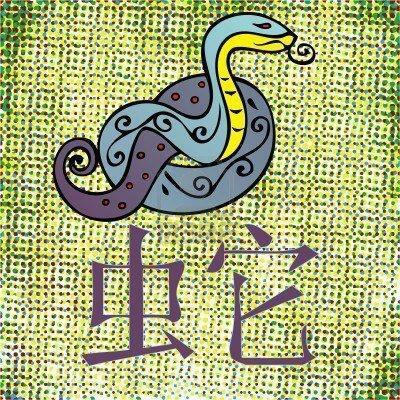 The children were keen to speak about the Year of the Snake – apparently people born in this year are aware and proud! The assembly finished with the Chinese Zodiac Story when some pupils wore masks to show the twelve animals of the Zodiac Calendar. 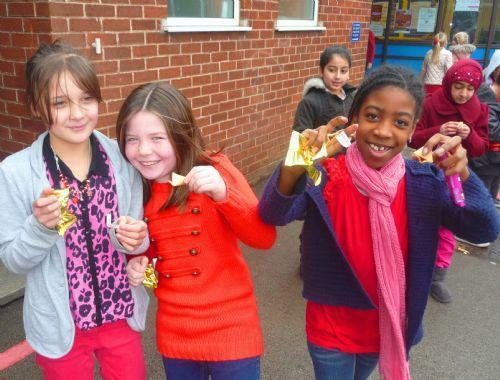 At break time, all children were given a Fortune Cookie – yummy! These were made from flour, sugar, vanilla and sesame seed oil and wrapped inside is a ‘fortune’. A fortune is a message of wisdom. A glance at the playground showed smiling faces enjoying their cookies and trying to understand their words of wisdom – what a fun and educational day so far! During the afternoon Upper Key Stage Two had an amazing time indulging in Chinese cooking. They were able to carefully observe the cooking taking place and try the tasty stir-fry. 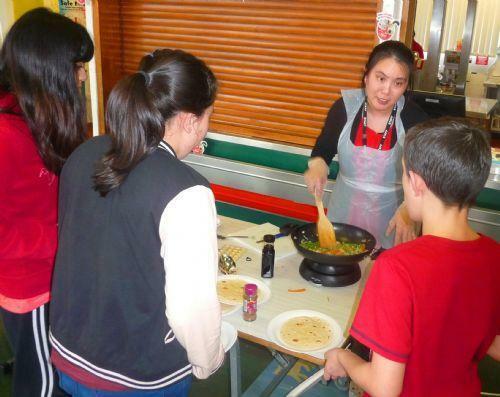 The aim of the afternoon was to engage our pupils in experiencing the food culture of another part of the world – that aim was met with enthusiasm as all pupils ate a carefully prepared stir-fry. A fantastic afternoon was had by everyone. Our Chinese New Year celebrations were wonderful. Thanks go to all of the children for their behaviour during the day and all staff for their efforts in making the day fun and educational for our pupils.